Jenny Barnes/Alice Hui-Sheng Chang, David Brown, Nigel Brown, Tim Catlin, Rosalind Hall, Michael McNab ‘Surface Noise Vol. 6’ CDR – The sixth volume of this split live series showcases two of the most extraordinary vocalists working today. Jenny Barnes embodies an emotive solo psychodrama of language and utterance, recorded live at Melbourne’s Make it Up Club early in 2017. Backed up with Alice Hui-Sheng Chang leading an ensemble of some of Melbourne’s most skilled improvisers through a spatially-aware piece, recorded at Conduit Arts in 2015. A great sample of live exploratory vocal-orientated works from the Melbourne scene. Michael Sheridan “Scaleshack” CDA digital release of the original SCALESHACK tracks from ltd. ed. cassette’s I & II. Includes mixes by Simon Polinski and Dave Job. Record engineering by Michael Sheridan and Rik Rue. All tracks digitally remastered by Oscar Gaona, EMI Studio 301. Most high definition quality. Moe Chee ‘Be It Hot, Humid or Ghostly Cold’ CD/digital – Recorded in the streets and various locations around Taipei in 2015 (except for the last track, recorded on a Walkman distributed to the audience during a 2016 participatory Moe Chee performance in Melbourne), Be It Hot, Humid or Ghostly Cold is an amalgam of field recording, public space performance, conversation, and explorations of the potential for creativity and musicality in everyday life. Limited edition of 50 CDs in covers designed and handmade by Tasmanian artist, Anna Dusk, as well as digital download. Dotabata/Llara Goodall ‘Surface Noise Vol. 5’ CDR – Dotabata emits a short, sharp, lo-fi noise scuzz performance (from the International Noise Conference 2013), followed by Llara Goodall’s tape abuse/worship of pop music through the cassette meat grinder. Limited edition of 50 hand-numbered copies. Ross Manning ‘Both Sides of the Cocoon’ cassette – More recent work of Manning’s incredible use of light and kinetic sculpture to create incredibly complex, organic and beautiful music. Limited edition of 40 copies in beautiful handmade covers, each unique, using coloured transparent and textured papers put together by the ever-reliable Chemical Imbalance label. 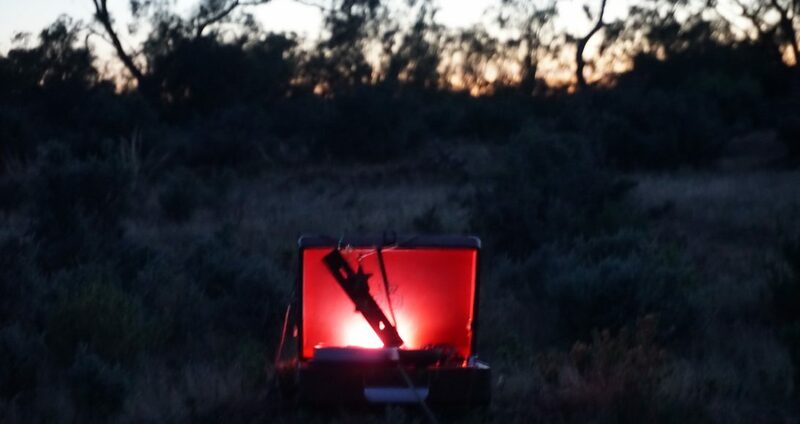 Tim Panaretos “Schmørgåsbaag & Other Furniture” CDR Ex-Tassie-now-Melbournite Panaretos approaches the bouzouki through a free jazz lens whilst never completely disregarding the instrument’s traditional patterns and timbres. Limited edition of 25 copies housed in unique hand-painted/designed sleeves, assembled by the always-immaculate Chemical Imbalance label. A double header from a selection of Brisbane masters of drone and electronic abstraction. Musgrove has long been a master of all things drone, with both his solo work and as part of Biffplex. On his track we hear the last part of an 8 hour overnight performance, as it all grinds to an entropic end. Makro/Hetlev are Lloyd Barrett (Diaspora, Secret Killer of Names) and Paul Forbes Mitchell (Hetleveiker) in live electronic dialogue. Surface Noise is a series of limited edition (50 copies), hand-numbered CDRs documenting live performances of experimental and noise artists. Each volume features live performances from two different artists; the first initially invited by the curators, and the second then chosen by the first artist. Co-released by Melbourne labels Iceage Productions and Shame File Music, the series will consist of ten volumes.